4299 N Ocotillo Canyon Drive, a 2,236 square foot one-story home with 3 car garage, custom courtyard and in-ground spa just sold for 350K by OMNI Homes International LLC. This represents the tenth sale of the year. If you are thinking of selling in 2018 or you would like to explore the Pima County housing market I am here to serve all your real estate needs. I have sold 15 in our neighborhood and have lived here for 14 years! I love our beautiful surroundings.When marketing your home I am one of the most knowledgeable real estate agents because of my extensive real estate background and expertise in selling homes in our community. In 2018 the FHA morgage loan limit has gone up to $294,515 and the conventional conforming and VA loan limit has gone up to $453,100. What this means is more growth in the overall real estate market. 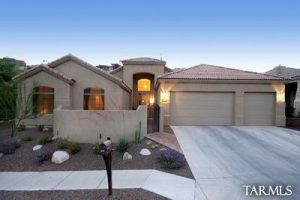 The biggest result I think we will find in Sabino Mountain is that sellers will have an easier time selling their less expensive homes making it easier for them to afford the to move in to the more expensive homes in our neighborhood that are priced from the $300,000s and up. This also will likely bring faster appreciation of the home values. 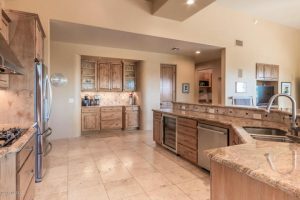 2018 should bring a great year for real estate sales in Sabino Mountain. Our’s is one of the prettiest neighborhoods in the Catalina Foothills. 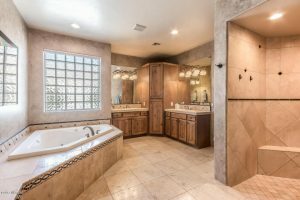 The location being minutes from Sabino Canyon on the quiet side of the Foothills, plus that Rural Metro Fire Subscription being included in our property taxes makes our neighborhood especially attractive. 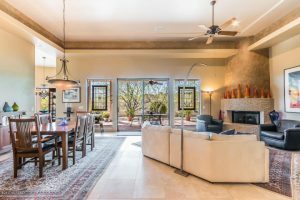 If you are thinking of selling your Sabino Mountain home or thinking of exploring the Pima County housing market call me at 520-615-2598 or email me at Donna@DonnaAnderson.com. 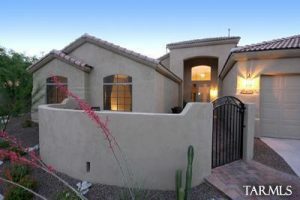 After being on the market only 18 days, 4181 N Quail Canyon Drive sold for 760K by Realty Excutives Tucson Elite. This almost 3,200 square foot ridge-top home last sold 3 years ago for 741K. I have gotten a few inquiries in regards to questions about why are most of the Sabino Mountain homes not selling quicker. The answer is not simple.There are a few that are priced too high; the market is stable but there has been little appreciation in the past few years. Also some suffer from poor marketing;expertise is demanded especially in this market that is clearly not a Seller’s Market unlike some agents may have told you.Some listings are stagnant. After being on the market for more than 6 months there are some changes that need to be made–at times changing your real estate agent makes a positive difference;sometimes it is a change in marketing strategy that will achieve your goal of the home sale. Having a real estate agent with expertise is essential. Remember to contact me for all your real estate needs-email Donna@DonnaAnderson.com or call me at 520-615-2598. You are currently browsing the Sabino Mountain Blog blog archives for December, 2017.